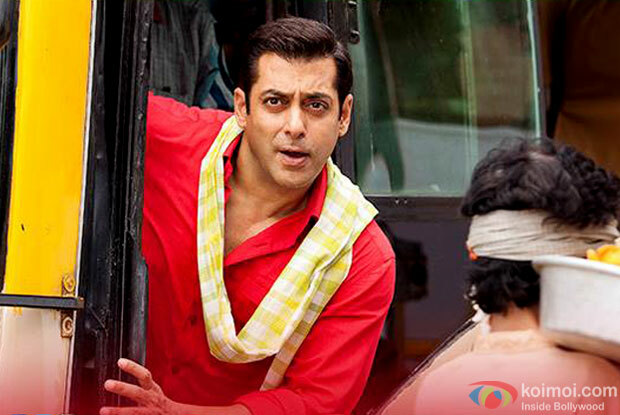 Home » Box Office » Salman Khan Beats Himself, Prem Ratan Dhan Payo Becomes The Highest Opener Of The Year! Salman Khan Beats Himself, Prem Ratan Dhan Payo Becomes The Highest Opener Of The Year! First day reports are out and as expected, the film has registered a record opening at the Box Office. Indications were all there that the film would cross the 40 crore mark and that has exactly happened, what with the collections continuing to be excellent right till the evening. As was mentioned in this column yesterday, night shows were bound to be on the lower side, especially the ones ticking off after 10:30-11:00 PM since a three hour long film meant a 2 AM closure. Still, the very fact that family audiences came in hordes to watch the film meant that collections came out super strong. Of course the shows didn’t quite run full capacity (mainly in the night). That said, a sum total of around 40.35 crore (Hindi) meant that the stage is set for the Salman Khan and Sooraj Barjatya combo to head into the weekend on a very solid footing. From the critical standpoint, the film has seen a mixed response. However, the fact that the film hasn’t been panned means that it would all eventually boil down to word of mouth. Since this isn’t a quintessential Salman Khan starrer, a lot comes down to how family audiences it up from this point on. While the production (Rajshri) has been lavish and marketing (Fox Star) perfect enough to entice audiences into theaters, the ball is now in the court of audiences. It has to be now seen that how far do they hit it out of the park in days to come. Awesome collections unbelieveble what about Telugu and Tamil. Its very nice family movie….i thoughts after 5days his collection becomes 100cr…. watching this film-if you can call it a film is the biggest crime— bigger than killing a black deer and rash driving and killing a human being by a being human all put together. how will people spend two weeks to see tamasha? rabbit and deepika should thank salman and barjatia. log who film pe tut padenge. 2nd day box office ??? ?